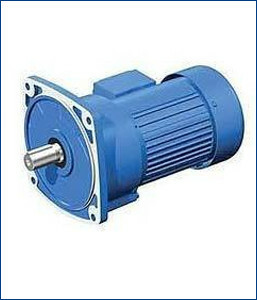 We provide superior quality of Geared Motor, which are known for their precise functionality. Manufactured by using quality-tested raw material and components, these products are widely appreciated for their compact designs, precise dimensions, performance and durability. We make sure that these are tested for their consistent quality and functionality, before being dispatched to the clients. Our clients can avail from us a standard range of Gear Motors, which is widely appreciated for high load carrying capacity and heat-radiating efficiency. Precisely engineered, our Gear Motors are available with high-grade aluminum alloy quadrate casing which provide structural support and prevent any damage to motors. Made of high quality steel, these motors are acknowledged for the attributes like reliability, safe to use and durability.